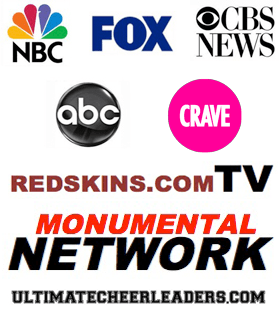 Sideline Prep | Pro Cheer Auditions – Why “Connecting” with the Judges is SO Important! Pro Cheer Auditions – Why “Connecting” with the Judges is SO Important! Do you know the difference? If not… take a look at this video where we feature the Washington Redskins Cheerleaders to show you how to PERFORM (Looking good…. Vai Evans , Erin Ragan, Heather Sea, Chantelle Amor, Taryn Dominique, Jade Elizabeth, Candess Cee, Ashley Simone, Ma Sako, Jordyn Ashley, Madonna Monroe, Jackie Parker, Jaclyn smith and Jordan W!! Also… we give some shout outs to some 1st Ladies of Football too — Our COVER MODELS… Christal Rodriguez & Erika Angelie !! We wish you success in all that you do! And we are here to help you every step of the way to shine on the sidelines!! Also… don’t forget to grab the FREE Training: 5 Massive Mistakes Pro Cheer Potentials Make… and How to Avoid them PLUS you get my Top 10 List of Things to Remember on Your BIG Audition Day!! Click here to grab your training. Pro Cheer Auditions – Why “Connecting” with the Judges is... How to Build Confidence | Using the 5 Second Rule to Build Your Confidence!